There is a New York Times story today that proclaims more Americans are worried about global warming. I'm hoping that climate 'scientists' will, one day soon, begin to understand that science is not about polls or popular opinion. Science is about what can be objectively proven. The point I wish to make in this posting is that global warming has more of the characteristics of a religion than a science. The New Testament (Mark 13:32) quotes Jesus as saying He does not know when the world will end. Only his Father knows. Now, suppose some Christian group (call them Religion A) proclaimed they had figured out the world will end tomorrow. Tomorrow comes and goes. Then, Religion A says they were wrong in their calculations and it will end Monday. Monday comes and goes. Finally, Religion A says, oops, give us one more chance. The world will end a week from Thursday. And, of course, Thursday comes and goes and things are fine. After that record of failed predictions, no reasonable person would believe their end-of-the-world forecasts. "One of the key elements in science is the ability to make and test quantitative predictions." 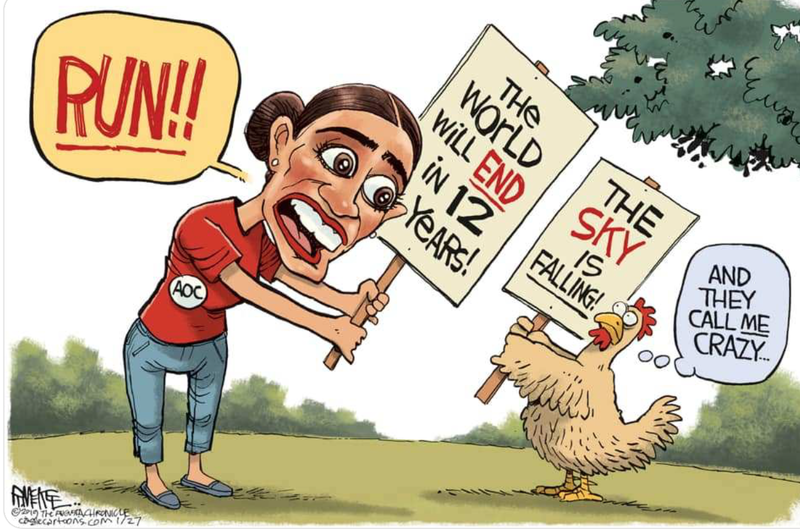 What brought all of this to mind is that yesterday, Representative Alexandra Ocasio-Cortez told us the world will end in 12 years unless we declare war on global warming. So, here we are in 2019 with the world in better shape than it has ever been. 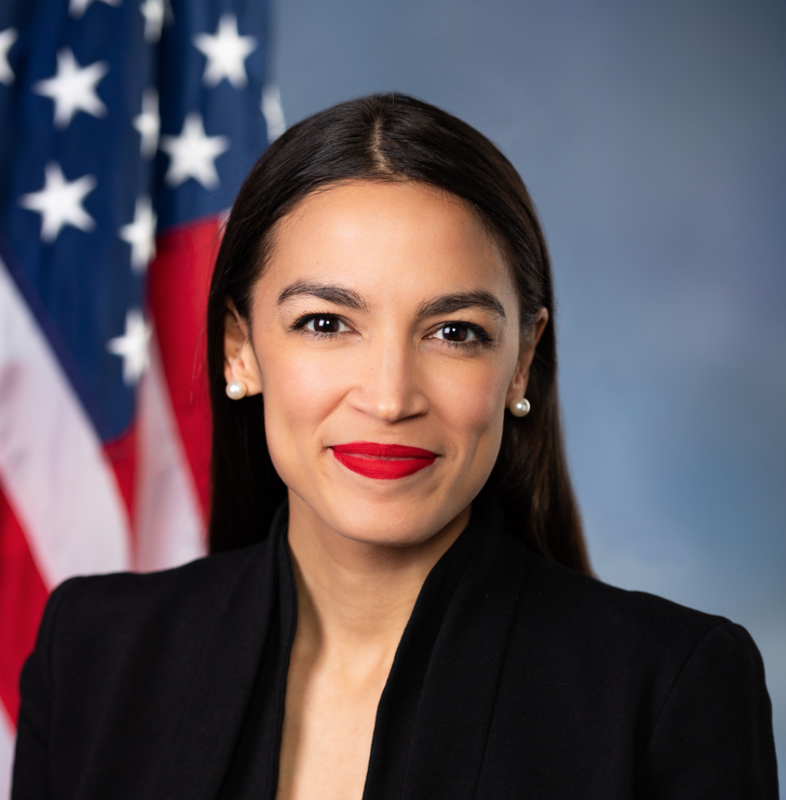 The lowest rate of extreme poverty in the history of the world, no world wars, and, in America, record employment, especially among minorities along with a prosperous stock market. The number of major tornadoes is down. Hurricanes are not increasing in number or intensity. Droughts and floods are no more frequent. If a Christian group had issued 13 (the number of "tipping points" and predictions above) wildly incorrect forecasts as to the second coming of Jesus they would be, rightly, mocked. Where is that accountability for climate 'science'? In fact, its inability to make reliable forecasts, by definition, calls into question whether predictive climate science is a science at all. 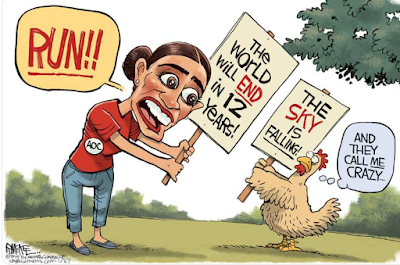 As for Rep. Ocasio-Cortez's 12-year global warming forecast? Don't sweat it! !